Browse any Livelink Enterprise Content Server export as if you were still accessing the actual server. Open documents for reading and view metadata directly. Search engine makes document retrieval easy. 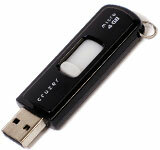 Runs directly from any storage media, including USB Memory Sticks or external hard drives. You can even easily set it up permanently on a dedicated web server. Requires exports made by the OpenText Object Export module.